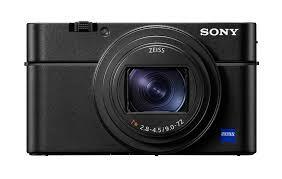 Sony, a worldwide leader in digital imaging and the world’s largest image sensor manufacturer – has announced another exciting model for their popular Cyber-shot RX100 series of compact cameras, the RX100 VI (model DSC-RX100M6). For the first time in a Cyber-shot camera, the RX100 VI features 4K HDR8 compatibility thanks to its new HLG (Hybrid Log-Gamma) picture profile that offers an instant HDR workflow solution. Additional professional calibre video features include S-Log3/S-Gamut3, 120p Full HD mode, Picture Profile, proxy recording and more. 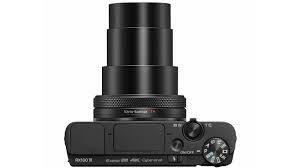 The RX100 VI is able to record super slow motion video at either 240fps, 480 fps or 960 fps. 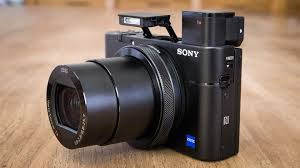 A first for Sony’s RX series, RX100 VI has a touch shutter that can be activated by tapping the back LCD screen, a zoom lever with customizable zoom speeds and an LCD that can be rotated 180 degrees upward or 90 degrees downward for a variety of shooting angles for the creator. There is also a Monitor Auto OFF function that boosts maximum number of still images by up to 30%, and the camera is also Wi-Fi®, NFC™ and Bluetooth® compatible. The new Sony Cyber-shot RX100 VI compact camera will be available in Malaysia from July 2018. A variety of exclusive stories and exciting new content shot with the new RX100 VI camera and other Sony products can be found at SonyAlphaUniverseMY, Sony Malaysia’s community site built to educate, inspire and showcase all fans and customers of the Sony α brand in Malaysia. With "Continuous shooting mode: Hi" and "Image quality: Fine"